I saw the trailer some time back and it looks interesting… so I went and watch it last week. After watching the movie, I feel disappointed. The actions are not that great/exciting and the story is not like the one I expected from the trailer. The story is just plain and nothing special… maybe a bit of twist, but kinda predictable. If you are interested in action movie with shooting, chasing, etc…, then maybe you can give this a try. 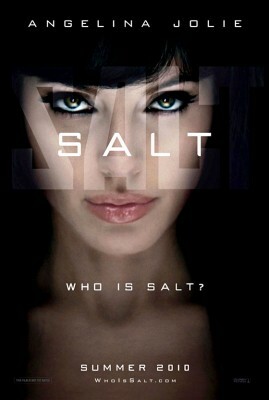 This entry was posted in Movie, Review and tagged salt on August 4, 2010 by Khim Hoe.